£1745 pp, £190 single supplement. 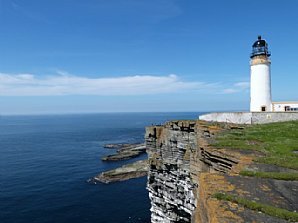 Orkney is rapidly becoming the ‘new Shetland’. 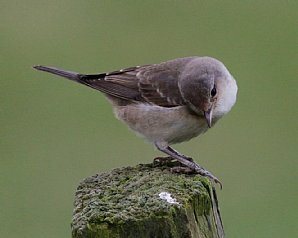 To date the birding scene is quieter, but Orkney has a growing reputation for quality autumn birding. The possibilities are great, as early October is a rich time for southbound migrants, while our local expertise gives every chance of connecting with rare and scarce visitors. This exciting holiday also includes birding on Papa Westray and Sanday, remote and stunningly beautiful islands with huge potential, and not previously generally available to birding groups. Most terrain is flat and easy to negotiate, while largely unrestricted access allows us to ‘get off the beaten track’. 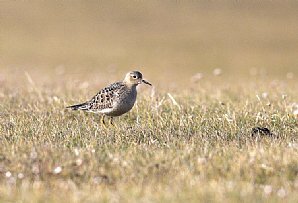 A number of rarities have been found in the Orkneys in autumn recently, including Siberian Accentor, Red-flanked Bluetail, Rustic and Little Bunting, Buff-breasted Sandpiper and American Golden Plover. In 2016, Heatherlea groups discovered Barred and Yellow-browed Warblers, and the first Orcadian Red-throated Pipit for almost twenty years! 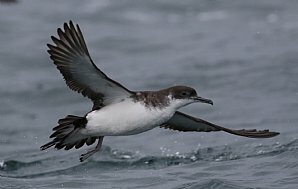 Our daily schedule may include sea-watching, with passing Sooty and Manx Shearwaters, skuas, divers and auks possible. General birding might bring Pink-footed, Greylag and Barnacle Geese plus other wildfowl. Waders feature strongly, with the many coastal bays, beaches and harvested fields often full of birds. There will be plenty to look through in the hope of unearthing our own rarities! 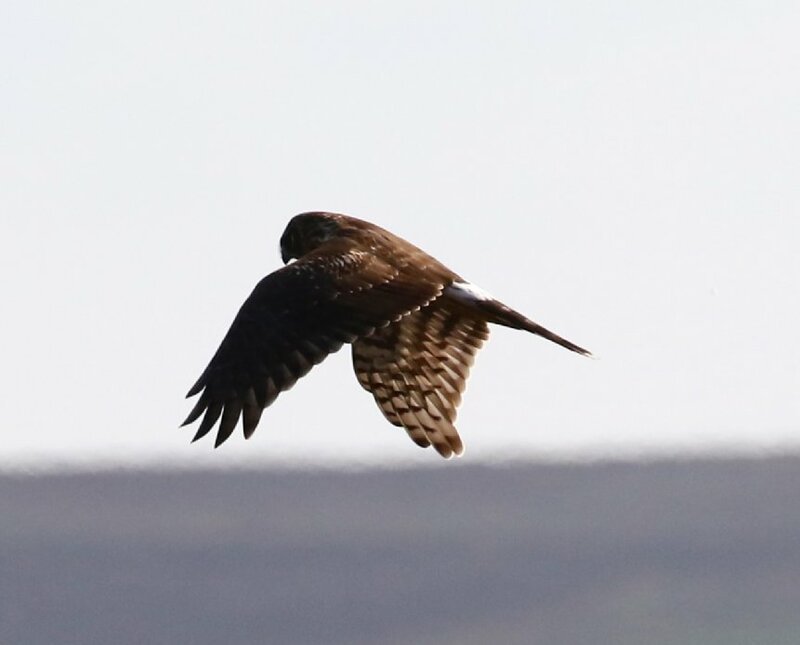 Raptors are very much a feature, with Hen Harrier, Merlin, Peregrine and Short-eared and Long-eared Owl likely. Large numbers of thrushes will be on the move from Scandinavia, as will finches and warblers. 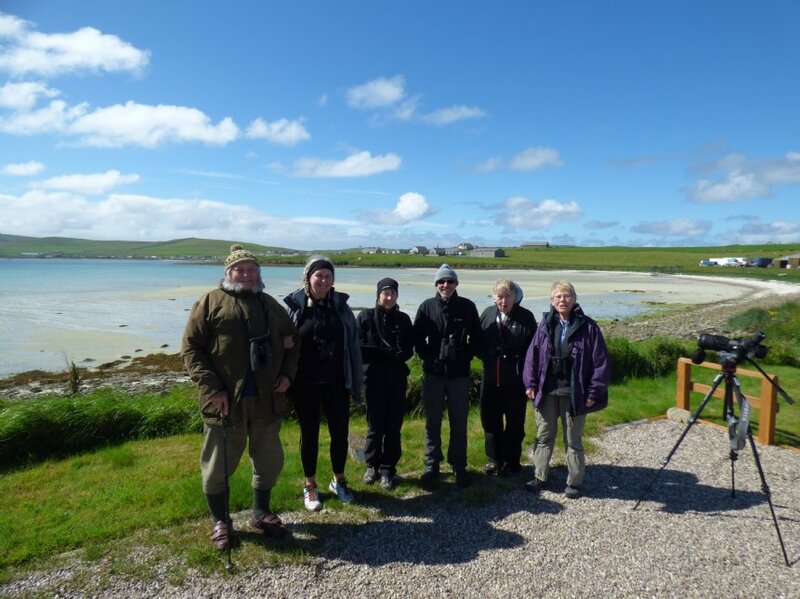 Just about anything is possible in the right conditions, and rarities vary each year depending on the prevailing winds, though the location of the islands makes Orkney ideal to receive wandering species from north, south, east and west – a brilliant birding experience. 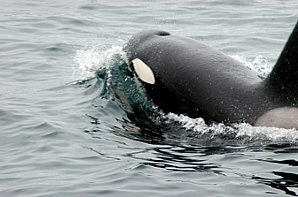 We stay at two centres, including two nights on Westray, giving us time to fully bird the island, and placing us in prime position to visit nearby Papa Westray. 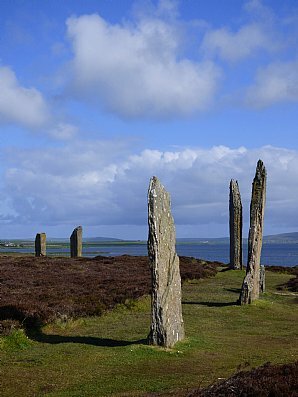 Orkney is not all about birds, there’s the stunning scenery and historical interest too, and we will visit important Neolithic sites on the mainland, and access the wonderfully ‘old’ and well preserved Knap of Howar on Papa Westray. There may also be the chance to take the worlds shortest flight (at 90 seconds) while the beaches on Sanday are some of the best in Britain. Our daily birding schedule will vary and may include some sea-watching with passing Sooty and Manx Shearwaters, skuas, divers and auks possible. General birding might bring us migrating Pink-footed, Greylag and Barnacle Geese plus a number of other wildfowl species. Waders will feature strongly, with the large number of coastal bays, beaches and harvested fields often full of birds. There will be plenty to look through in the hope of unearthing our own rarities! Raptors are very much an Orkney feature, with Hen Harrier, Merlin, Peregrine and Short-eared and Long-eared Owl likely. 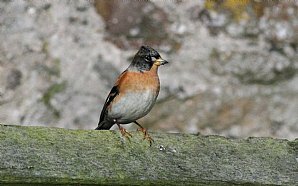 Large numbers of thrushes will be on the move from Scandinavia and with them may come Brambling and Redpoll flocks, and a variety of warblers including Blackcaps, Chiffchaffs and Goldcrests. 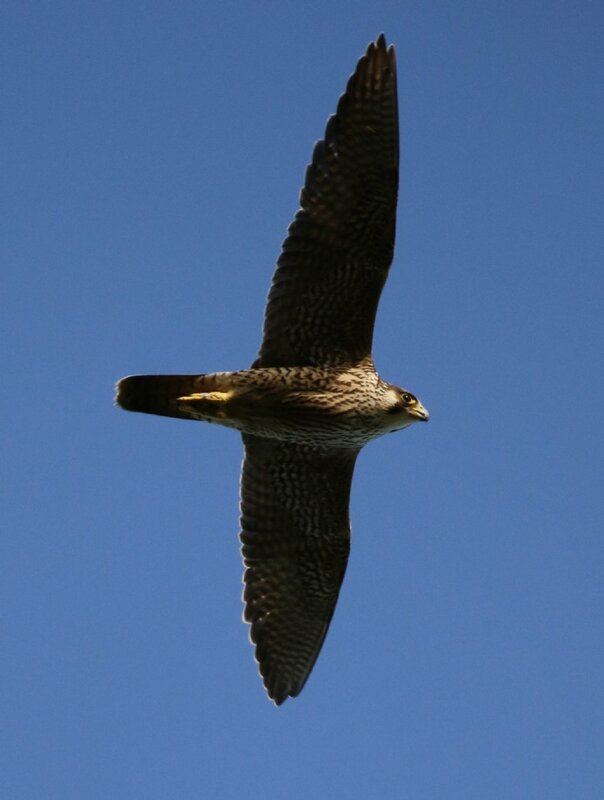 Just about anything is possible in the right conditions, rarities vary from year to year depending on the prevailing winds but the positioning of the islands makes it ideal to receive wandering species from all origins, north, south east and west – a brilliant birding experience. We’ll stay at two centres, including two nights on Westray giving us time to bird the island to its full potential, and placing us in prime position to visit nearby Papa Westray. 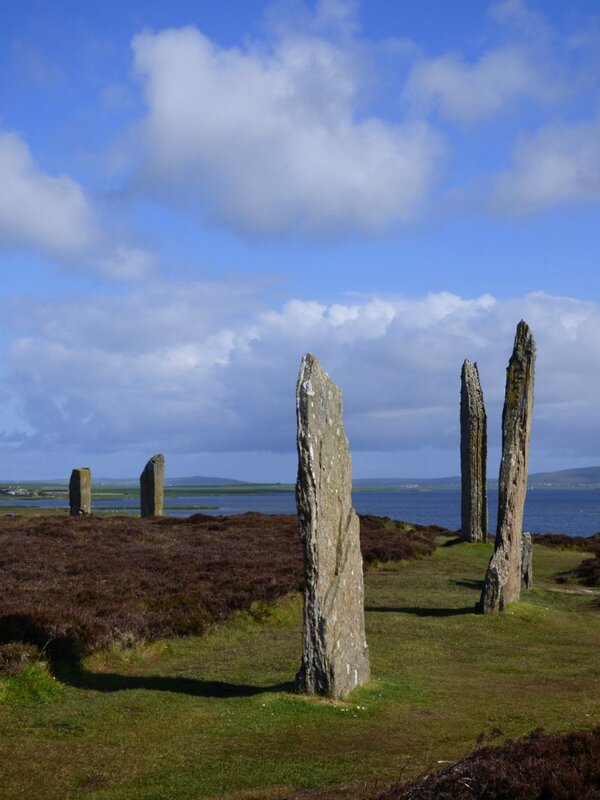 Orkney is not all about birds, there’s the stunning scenery and historical interest too, and we will visit important Neolithic sites on the mainland, and access the wonderfully ‘old’ and well preserved Knapp of Howar on Papa Westray. There may also be the chance to take the worlds shortest flight (at 90 seconds) while the beaches on Sanday are some of the best in Britain – where do you think its name comes from? We begin by heading north from Nethy Bridge, leaving the Highlands to pass through Sutherland and Caithness. As we travel, Ravens and Red Kites may be encountered and crossing the Moray and Dornoch Firths will likely give us our first geese, wildfowl and waders of the holiday. There’ll be time for a couple of birding stops as we go, perhaps calling in at Loch Fleet or Brora before Orkney comes into sight as we arrive at John O’Groats. 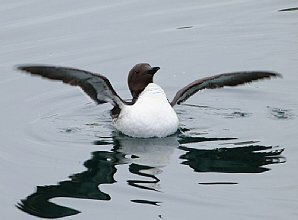 The hour-long ferry crossing through the Pentland Firth will give us a chance to seawatch and we stand a good chance of seeing Gannet, Fulmar, Storm Petrel, Black Guillemot and other auk species, Great and Arctic Skua and perhaps the last few Arctic Terns. 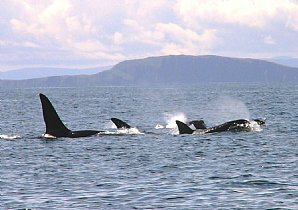 This stretch has a strong track record for cetaceans with Harbour Porpoise, Risso’s and Common Dolphins, Minke Whale and Orca all possible. On our arrival in Orkney we’ll spend the rest of the day birding local hotspots or try to see any known rarities before settling into our comfortable hotel as dusk falls. Eager to explore, we’ll head east for our first full days' birding. We may start around Deerness, the north-eastern point of Mainland, jutting out ready to collect vagrants from either direction. There are a variety of habitats and several areas of interest here, offering excellent birding at a comfortable pace. 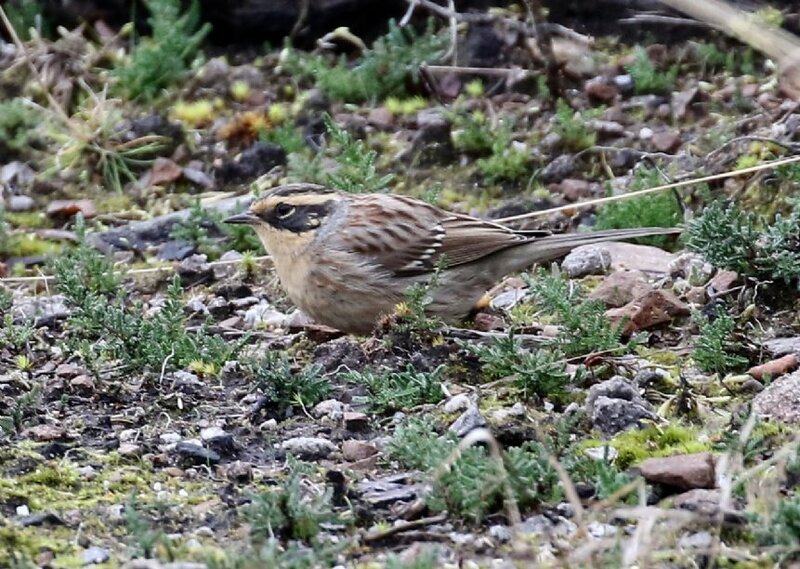 A number of rarities have been found in this area recently, including Siberian Accentor, Red-flanked Bluetail, Rustic and Little Bunting, Buff-breasted Sandpiper and American Golden Plover. In 2016, Heatherlea groups discovered Barred and Yellow-browed Warblers here plus the first Orcadian Red-throated Pipit for almost 20 years! At this time of year Hen Harriers and Short-eared Owls can crop up anywhere and in the afternoon we’ll stand a good chance as we work our way south, crossing the Churchill Barriers through the smaller ‘holms’. 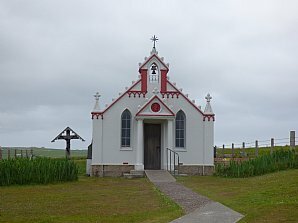 We’ll bird the island of Burra en route to South Ronaldsay, and time will be assigned to visit the Italian Chapel. Birding around the southern tip of Orkney offers good birding and we’ll check a number of sites for freshly arrived migrants hoping for something special. Our day doesn’t finish here, and we’ll catch the late-afternoon ferry from Kirkwall to Westray keeping watch for marine species again as we go. We’ll stay at a comfortable Hotel for two nights, its position at the heart of the island being perfect for the next leg of our adventure. Today we take a day trip out to the small island of Papa Westray, a unique opportunity to explore somewhere new, with as yet only marginally discovered potential. 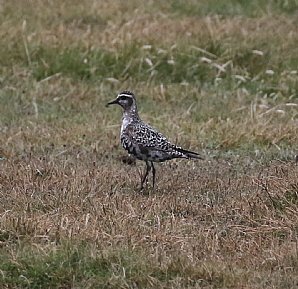 While North Ronaldsay with its bird observatory is well established in the birding history books, the reputation of this neighbouring island and roughly the same size, is growing by the minute. We’ll travel as day-passengers and explore its' nooks and crannies, gardens, cliffs and beaches on foot. 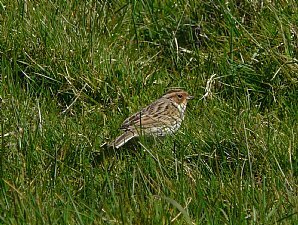 Papa Westray lays claim to some mouth-watering rarities such as Britain’s first Chestnut Bunting, fifth Two-barred Greenish Warbler and sixth Ovenbird and all occurring in the last four Octobers, evidence enough of our need to visit! 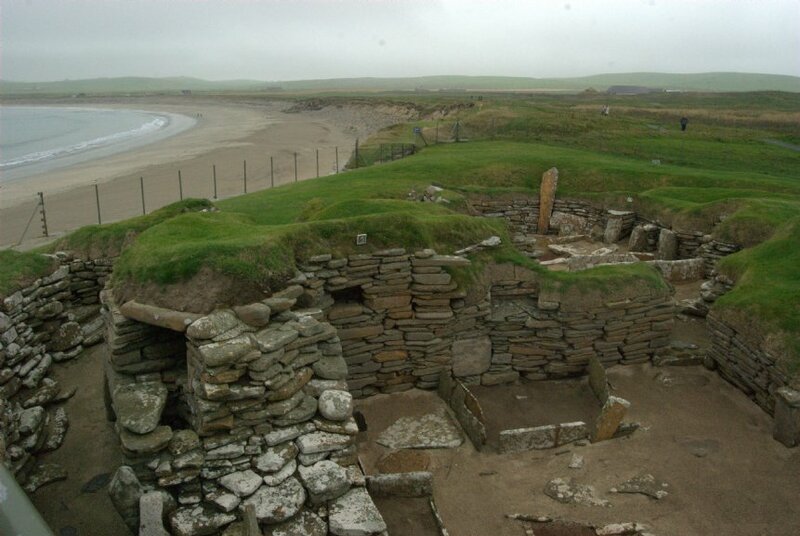 There’s historical interest too, with a chance to visit the Knapp of Howar, at 3700BC currently recognised as the oldest known Neolithic settlement in the whole of Orkney. The last Great Auk in Britain also resided on the cliffs on the north coast here – we’ll be sure of a great day exploring this seldom visited gem of an island before returning to Westray for a second night. Westray in autumn is different entirely to the summer months. We’ll visit Noup Head, and while only the last few Gannets might remain on the breeding cliffs, the lighthouse and geos offer shelter to tired migrants. If the conditions are right we’ll seawatch hoping for rarer skuas, Sooty and Manx Shearwaters, petrels and there’s even a chance of a passing Grey Phalarope or Little Auk. Swartmill Loch is one of three which can be good for waders and wildfowl and the small bays here are often frequented by Otters. 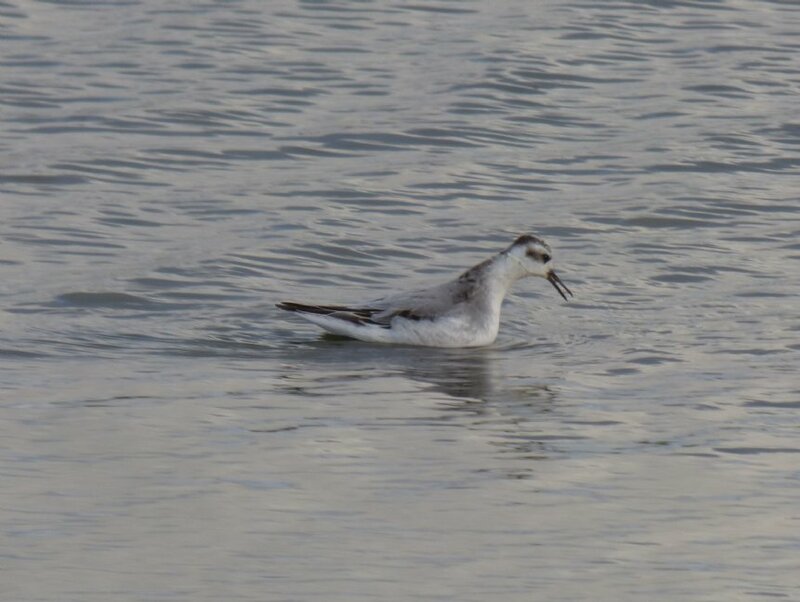 We’ll also devote some time to birding fields at the Aikerness Peninsula, check the coastal scrub bay at the golf course, and the bay and marsh at Tuquoy always deserve a look, as anything is possible from divers to gulls. After a busy day we’ll return to Mainland and our Kirkwall hotel via the afternoon ferry. With no ferries or flights to catch on our second full Mainland day we can be relatively flexible with the sites but heading west this time will give us new possibilities. At Birsay we’ll be able to sea-watch from the island if tides are favourable while the coast here, and fields and gardens at nearby Palace can be good too. 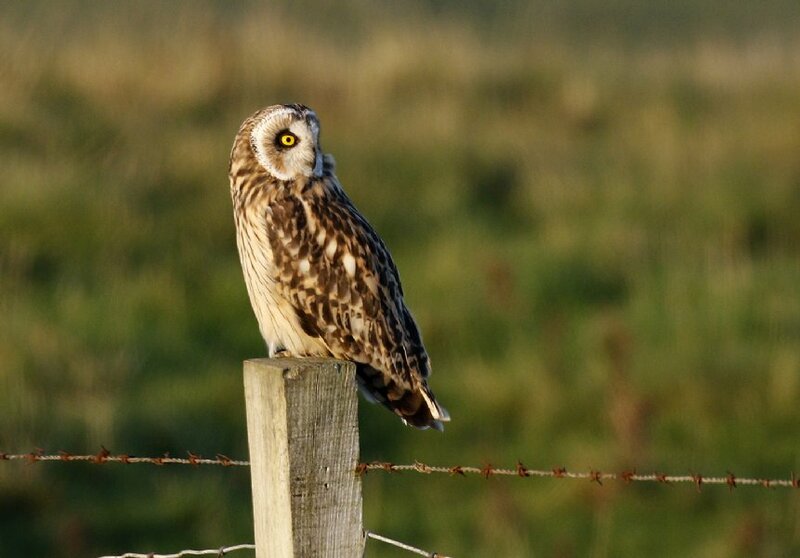 Hen Harriers, Short-eared Owls and Twite are again possible as we drive minor roads and many of the lochs hold important numbers of returning wintering wildfowl. 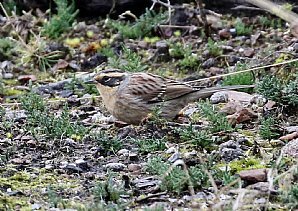 Anything is possible with Western Orphean Warbler, Black-throated Thrush, Olive backed Pipit and Arctic Redpoll were all west Mainland late autumn highlights in 2016 and we’ll be hopeful of connecting with a rarity or two. 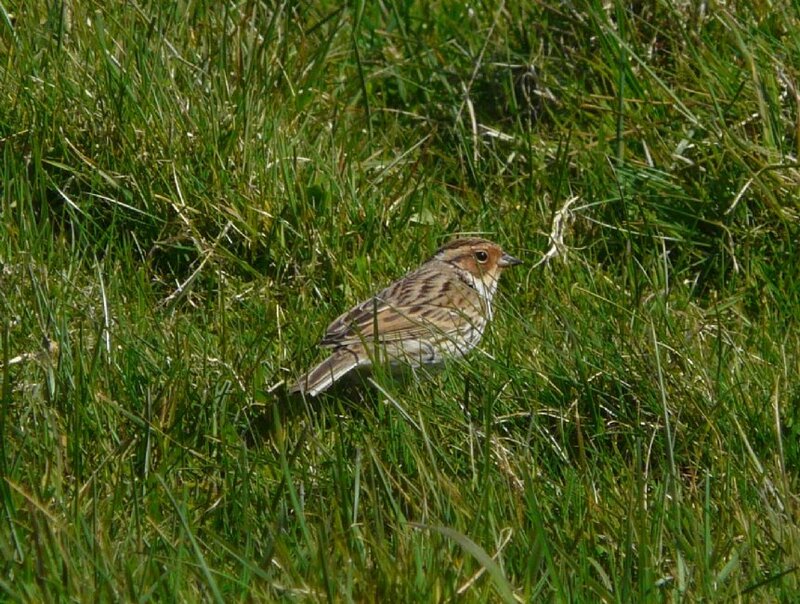 The area boasts some fantastic RSPB reserves and on an overall more relaxed day, there will also be the chance to investigate historical sites such as Skara Brae and the Ring of Brodgar as we’re birding. Overnight Kirkwall. Another new island! 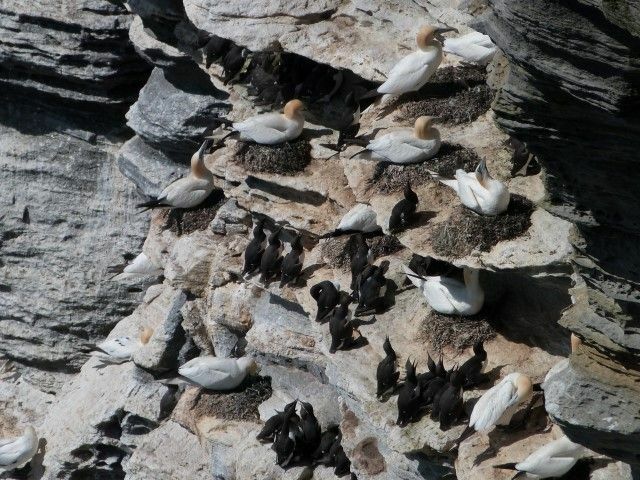 We take the ferry along with our vehicle to Sanday, with divers, sea-duck and other seabirds on view as we sail. It’s a pretty island, named after its stunning sandy beaches. These offer fantastic wader potential, with large numbers of Sanderling, Dunlin, Grey Plover and Bar-tailed Godwit present. 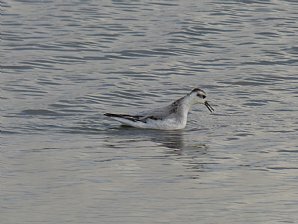 There’s great offshore feeding for other coastal species too, including terns, grebes and divers. 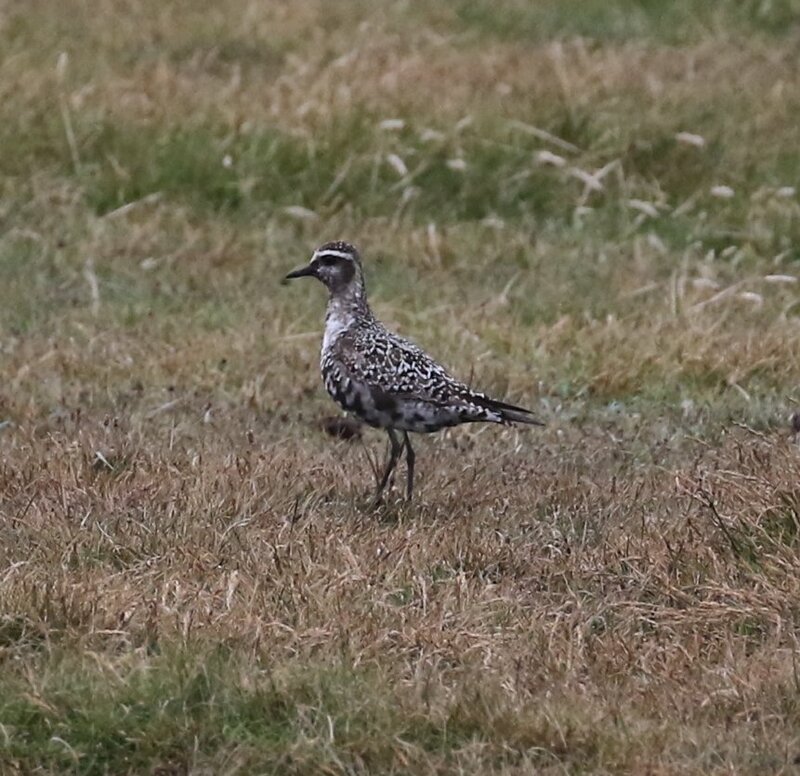 American Golden Plover, Buff-breasted and Pectoral Sandpiper are recorded most years and we’ll scan the large Golden Plover flocks in the hope of one of these. 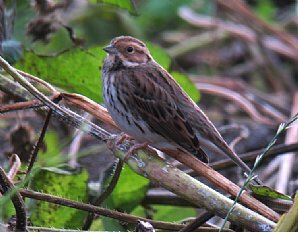 The gardens and weedy fields are not without interest too and have uncovered scarcities including Wryneck, Red-backed Shrike, Bluethroat, Yellow-browed and Barred Warblers recorded annually, while Brown Shrike and Swainson’s Thrushes have been the standout rarities of the last two years. The lighthouse at the eastern point can be a migrant magnet in the right conditions and we’ll keep in close contact with other birders present to make the most of our visit. Sanday can also be good for Otters and we’ll keep an out for cetaceans again when returning to Kirkwall for our final evening. There’ll be time to visit a few local birding sites in the morning before we catch the lunchtime ferry back to mainland Scotland. The crossing will give us a last chance to catch up on any seabirds we might have missed, while sites on the north Caithness coast such as Dunnet Bay or St Johns Loch may also be visited before we drive south. We expect to arrive back at Nethy Bridge early evening. Expect a wide variation in weather conditions, which can be wild and unpredictable, with temperatures perhaps averaging around 15 degrees Celsius. Sunshine, rain and strong winds are all possible, and you will probably experience a bit of everything. Biting insects are not expected. Please bring walking boots or shoes, waterproof clothing and a small rucksack. Hat and gloves are essential! The holiday will be run at a relaxed pace, with time for photography as well as fabulous birdwatching in a spectacular setting! 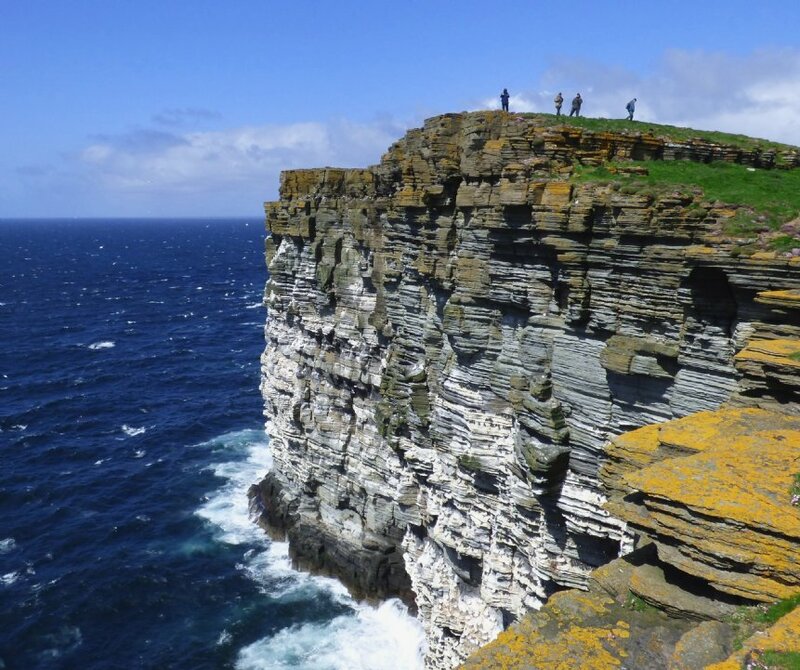 There will be short to moderate (3 to 5 mile) walks several days on a variety of mostly flat terrain, but please note that the day on Papa Westray will be spent entirely on foot so a reasonable level of fitness is essential. 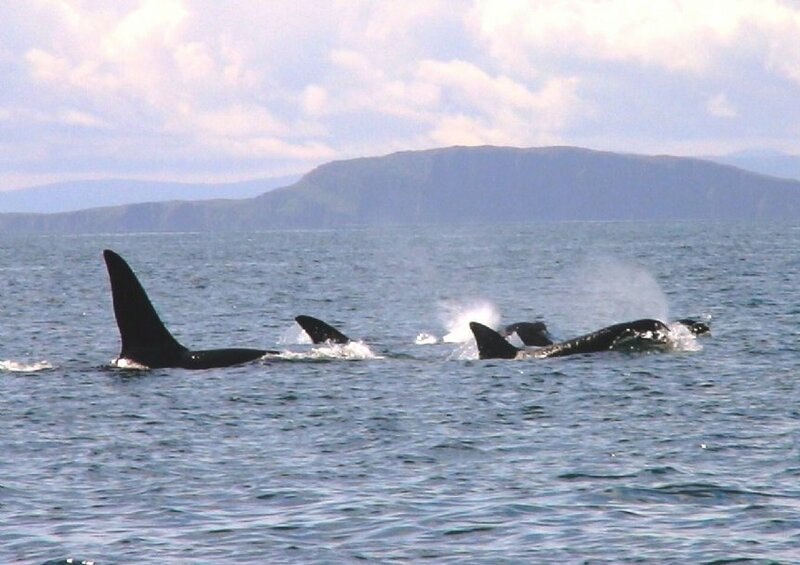 • Four nights comfortable en-suite hotel accommodation on mainland Orkney. Two nights comfortable accommodation on Westray. We choose hotels from our personally inspected shortlist, where birders are welcome and the hospitality is special. 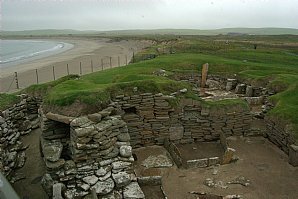 Please note that on Westray accommodation is very limited and can be somewhat basic with en-suite accommodation not guaranteed.